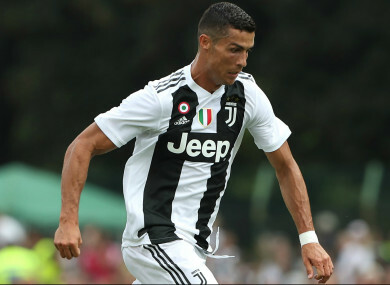 PAVEL NEDVED SAID the signing of Cristiano Ronaldo has increased Juventus’ standing among Europe’s elite as the vice-president lauded the five-time Ballon d’Or winner. The 33-year-old was on target in the traditional friendly match between Juve’s senior side and youth team. Discussing Ronaldo’s arrival, Nedved told Juventus TV: “Juventus’ step forward among the big clubs in Europe has been confirmed further. “That we managed to bring Ronaldo to Juventus is something exceptional. “There’s been very little talk about Emre Can but this was an important move,” Nedved added. “He was wanted across Europe by many big clubs but we managed to sign him. He’s a player with a lot of substance to his game both tactically and technically. Email “'That we managed to bring Ronaldo to Juventus is something exceptional' – Nedved”. Feedback on “'That we managed to bring Ronaldo to Juventus is something exceptional' – Nedved”.